Welcome AIM’s 2017-18 Night Class as they show us some of their personality while learning facial muscles! So much fun!!!!! 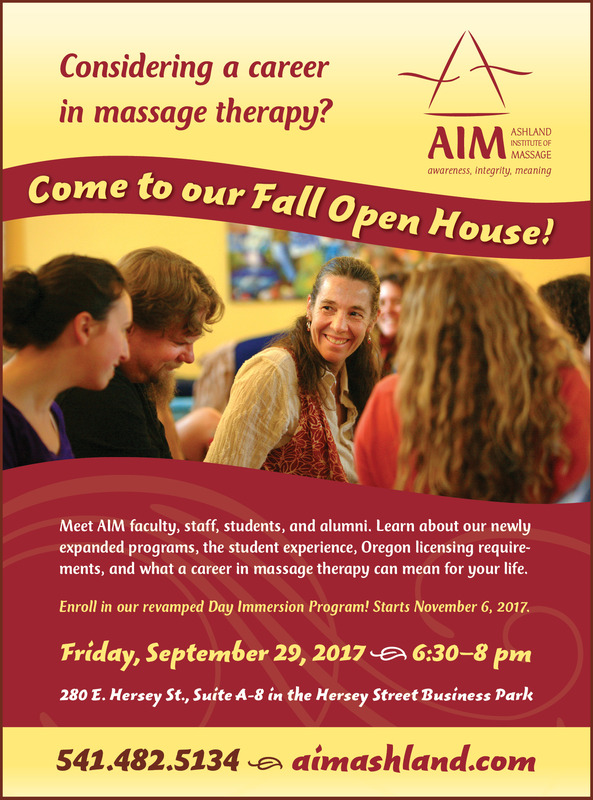 Join Us for AIM’s Fall Open House This Friday! Join us this Friday, September 29th at AIM’s September Open House from 6:30 pm – 8 pm. Learn about our programs, ask questions, hear about our expansion, enjoy refreshments, good company, and so much more. We look forward to seeing you there! 2017 AIM Classes to Begin Soon! It’s almost time to start this this year’s Evening Class at AIM! The Evening Class starts in September. 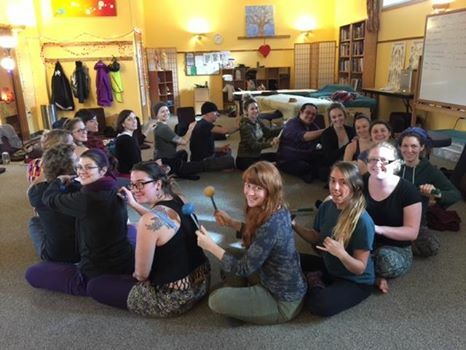 We are so excited to welcome all the new massage students. It’s not too late to sign up if you are ready to start a career in massage therapy. 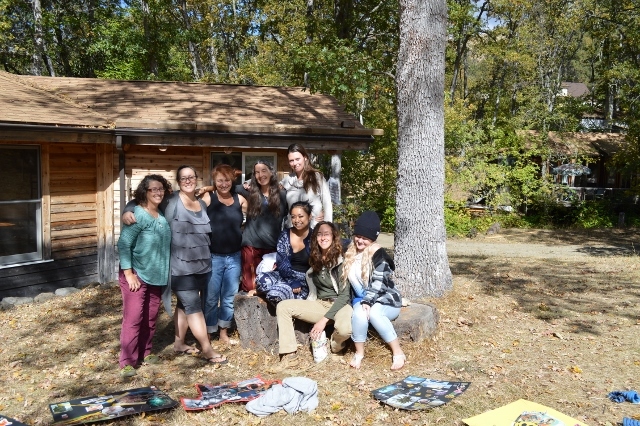 We also have the Day Class starting in November if you would like a more intensive program. Call the office today at 541-482-5134 to talk to our admissions team or drop in and say hello. We would love to meet you. 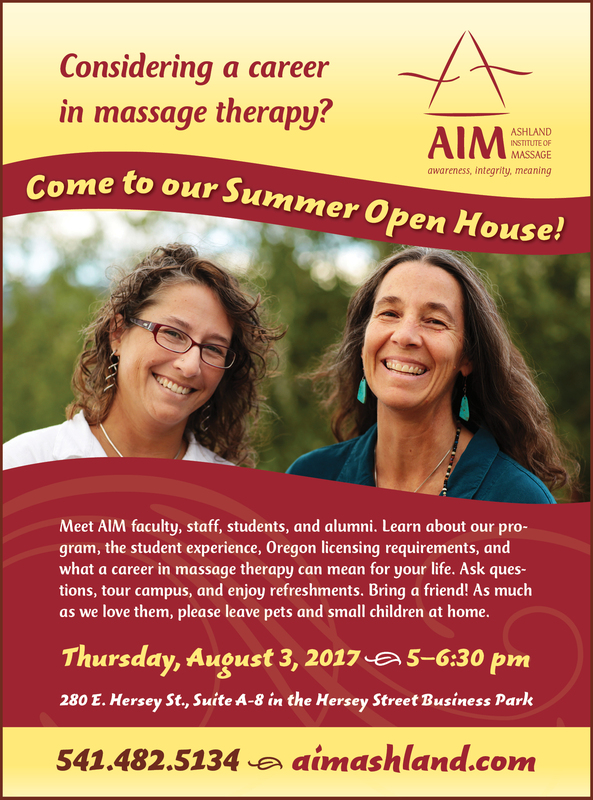 Remember to join us at AIM Thursday, August 3, 2017 from 5–6:30 pm for our Summer Open House! Learn more about our programs, ask questions you may have, tour our campus, and much more. We look forward to meeting you. Chrysalis Massage Clinic by Ashland Institute of Massage Ashland Institute of Massage has its own professional massage clinic, Chrysalis Massage Clinic. Massage is a great way to keep your body healthy and pamper yourself in the process. There are many benefits to massage therapy to include: reduce stress and anxiety, increase circulation, assist with healing, promote relaxation, increase range of motion, and much, much more. Our professional massage clinic is staffed by hand-selected AIM graduates with various years of experience and modalities to offer. Our goal is to offer the public high quality therapeutic massage therapy at affordable friendly prices. Read more about our massage clinic and therapists on our website. 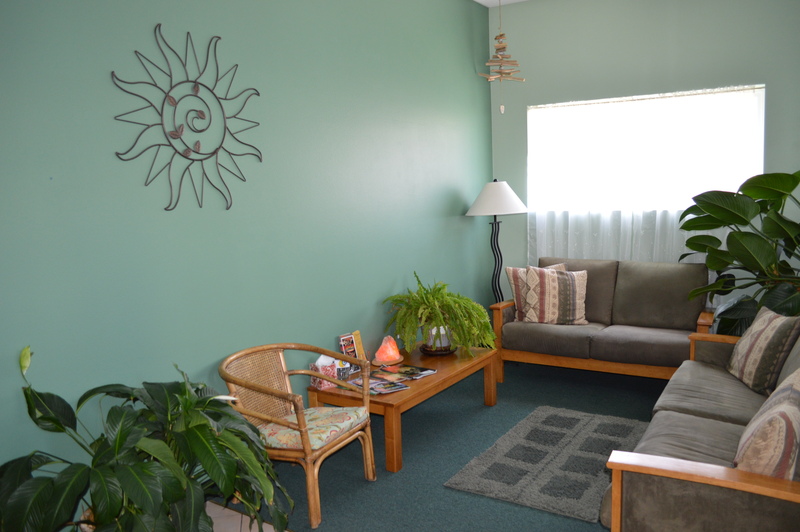 Chrysalis Massage Clinic Location, Hours, and Scheduling Appointments Chrysalis Massage Clinic is located at 280 E. Hersey St, Suite B, Ashland, in the Hersey Street Business Park. We are open 7 days a week by appointment. You can book your massage on our website with out online scheduler or you can call the AIM office at 541.482.5134 Monday through Friday. Payment is due at the time of scheduling to reserve your appointment. There is no refund for sessions cancelled with less than 24 hours notice. 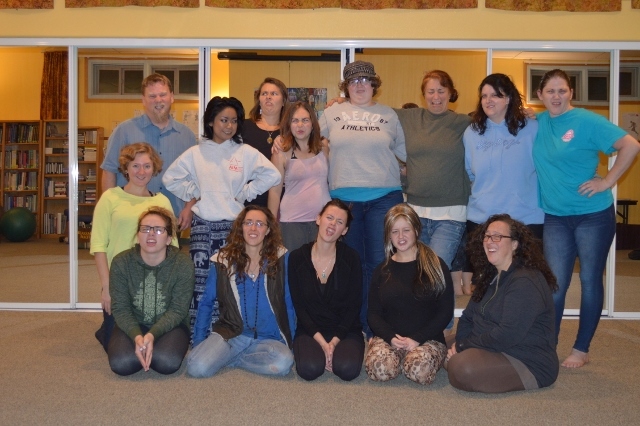 What Is the Ashland Institute of Massage Student Clinic and When Is It Offered? Each year AIM also offers our Student Clinic. Our students must complete a specific number of clinic hours to complete their massage program. We offer the community a great discounted price so you can enjoy a wonderful massage by a student and save some money at the same time. This is a great opportunity to assist our current massage therapy students in their budding careers. Student Clinics are toward the end of the massage therapy program so you are in excellent hands when receiving a massage from one of our many talented and knowledgeable students. Our student clinics start around February and continues through June. We hope to see you there!